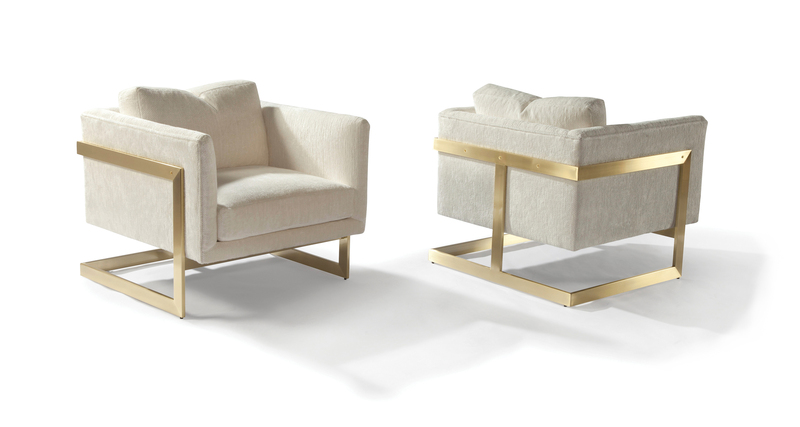 Originally designed in 1968 by Milo Baughman, this handsome cube lounge chair, also known as the "T-Back Chair" is a timeless classic of the modern era. Available in brushed bronze finish, polished stainless steel or satin brass finish. Select from any of our in-house curated fabrics or leathers for upholstery. Available in polished stainless steel, brushed bronze or satin brass finish.